Following a Representative Town Meeting vote on Tuesday, Feb. 7, 2012, new non-union town employees will no longer be eligible for pensions and other retirement benefits. In a move designed to rein in personnel costs, the Representative Town Meeting unanimously approved Tuesday night the elimination of traditional pensions and other retirement benefits for new, non-union town employees. The RTM's decision follows an identical measure approved last month by two of the town's pension boards, a move that was also backed by First Selectman Gordon Joseloff. Non-union employees in supervisory and non-supervisory positions hired after Jan. 1 are the only town workers who will not be eligible for pensions and other town-funded retirement benefits, such as health insurance. Those individuals will still qualify for benefits while they are active town employees. The benefits for non-union employees hired before Jan. 1 will remain unchanged. About 160 non-union town employees were enrolled in a town pension plan as of June 2010, according to the town's most recent Comprehensive Annual Financial Report, which covers the 2009-10 fiscal year. "I think this is a very good start," said RTM member Gilbert Nathan, District 9. "I think this is low-hanging fruit. These are non-union employees, and we have some control over that. We need to start there." In recent years, elected town officials have focused on tamping down town expenditures for public employees' benefits. Reform of town workers' benefit packages emerged last year as a campaign theme among candidates for the Board of Finance and RTM. 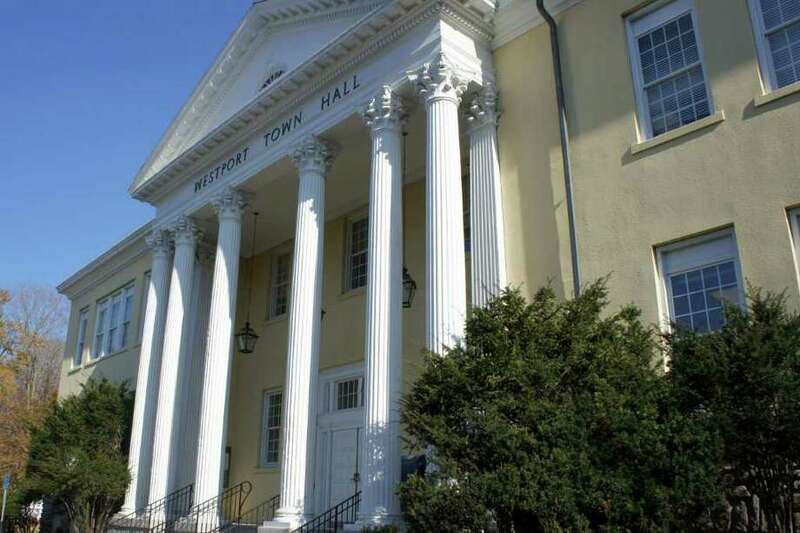 Earlier in 2011, Board of Finance members had discovered that Westport's former actuarial firm had omitted hundreds of employees from its projection of the town's liability for retired town employee health benefits, also known as Other Post-Employee Benefits. The finance board's vice chairwoman, Helen Garten, expressed support for the RTM's decision. "This is something that has been discussed for a long time and has been a long time coming," Garten said. "The path that we were going down was not sustainable." Town officials will now formulate a defined-contribution program for new non-union employees, which will be comparable to a 401-K plan, in place of standard pensions, said the town's legal counsel, Floyd Dugas. Implementation of that defined-contribution plan will also require RTM approval. The new defined-contribution program will include the town's new finance director, Gary Conrad, who was hired last month. RTM members signaled that they would seek an active role in drafting a new non-union defined-contribution plan. "I think it would be really helpful to have a discussion as a town -- because we are the employer -- of what we want to provide our employees," said Louis Mall, District 2. Joseloff said he hopes the town would institute a defined-contribution plan "fairly quickly," but did not provide a timeframe for the benefits program to be adopted. He also sought to temper expectations about the immediate fiscal impact of a defined-contribution plan. "Defined-contribution plans could cost the town more in the initial stages," Joseloff said. "Because new hires are going into a different plan, and as we continue to pay for current retirees with the current (defined-benefit) plan, we will not have new funding going into that plan." The town, meanwhile, will continue to face significant obligations for current town employees' retirement benefits packages. Still looming is an unfunded OPEB liability, which ranges from $75 million to $120 million, according to projections by the town's former actuarial firm, Pentegra Retirement Services. While town officials work on a defined-contribution plan for non-union employees, more town personnel may soon be joining a similarly structured program. Within the next few weeks, state arbitrators are expected to reach a verdict on new labor and pension contracts for the town's Department of Public Works union, which could result in the creation of a defined-contribution plan for public works employees, Dugas told the Westport News. About 60 active and retired public works employees were enrolled in a town pension plan as of June 2010, according to the town's 2009-10 Comprehensive Annual Financial Report.